We’re incredibly excited to present our first international act for Endless Daze Festival 2016 – FROTH! Froth’s debut LP, Patterns, was released in fall 2013 on Burger Records and Lolipop Records, and bared witness to the young group’s rapid musical growth and developing ear for composition. A shimmering mix of jangly 12-string guitars and swirling omnichord sounds, the album offers plenty of moments of pure psych-pop bliss; however, the band also flirts with a darker, driving element that they have continued to explore on subsequent releases. 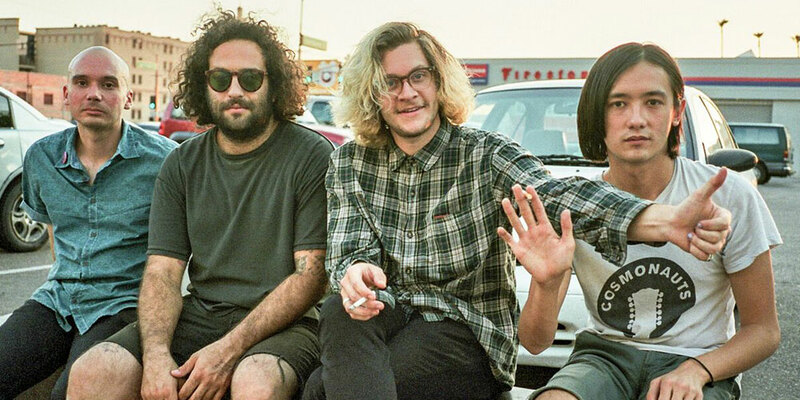 For their sophomore album, Bleak (LP and cassette out May 5 on Burger Records), Froth has largely traded in the sun-soaked 60s pop of their first long-player in favor of a maximalist shoegaze sound that combines screaming guitars with muscular drumming and throbbing, nervy bass lines. The result is a mature, confident record built upon tight songwriting and carefully honed tones. Lead singer and guitarist Joo-Joo Ashworth displays an equal knack for noisy, fuzz-driven leads and economic pop hooks, while drummer Cameron Allen holds down the beat with machine-like precision and bassist Jeremy Katz infuses the album with a unique groove that has become a necessary ingredient in Froth’s signature sound. With the arrival of a new record, Froth has also introduced a second guitarist, Cole Devine. The former Cosmonauts drummer and current Black Sea front man adds to the band’s already rich textural palette, bringing his distinctive dream pop sensibility into the fold. After tirelessly touring the U.S. and sharing the stage with scene standouts like The Growlers, The Dream Syndicate, La Luz, Mr. Elevator & the Brain Hotel, Mystic Braves and many more, Froth continues to attract new fans with their infectious music and high-energy live show. Recent stints across Europe and work with fashion legend Hedi Slimane have further cemented the band’s reputation with an international audience. As always, though, Froth remains dedicated to pushing their own boundaries and exploring new sonic avenues, both on the road and in the studio.